Sold by At-memory and Fulfilled by Amazon. Gift-wrap available. 5.0 out of 5 starsYou'll (probably) never need another card again! Let me get this out of the way first: I despise Sony's proprietary price gouging with a fiery passion. For this much money, you can buy a decent 120GB SSD. But I digress. 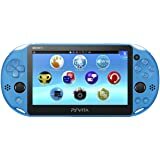 This card will display 59GB when you look at its storage capacity on the Vita itself. I've included an explanation at the end of this review on why your card will read 59GB when you put it in. For those of you who don't want to read all of it, 59GB is what is displayed and this is not incorrect, nor is saying that it is 64GB wrong, it's just a common deceptive practice in today's digital storage market. 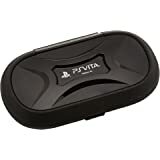 This card, despite being a Japanese import, works just fine on American PS Vitas. What you are buying is a direct Japanese import, not a card that's been localized for North America. I'm using it on my NA PCH-2000 and I've played games from it, it works just fine. 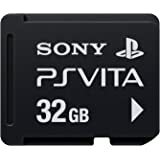 The amount of data on this card makes it a far better deal than all the other cards, and you'll never realisitcally fill this thing unless you're a Vita junkie and have a ridiculous number of games from PSN downloads. 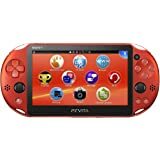 I put 5 PS Vita games (Borderlands 2 with all DLC, Gravity Rush, Uncharted, Soul Sacrifice, and WipEout 2048) and 3 PSone classic games (Front Mission 3, FFVII, and FFVIII) on here and it's only taken up 9GB of space. You can get by on the 32GB card, but I'd rather not have to worry about disk space, especially for a relatively minor increase in price comparatively speaking. Swapping cards is frustrating on PS Vita, mainly because it requires you to completely reboot, it's nothing like PSP. However, that's on the Vita's end, not this card's. The card holds 64GB measured in metric units as opposed to binary units. What's the difference you ask? This is a fairly common practice that many people misunderstand. This thing will display 59GB to your console, despite the fact that it is in fact 64GB. Why? It's not because 5GB is allotted to "formatting" (it doesn't take 5GB to do that). 64GB is measured in metric units, meaning it is measured as 64 billion bytes, since giga- means billion. In computer architecture, measurements are based on binary units, meaning each power of 10 is actually 10 bits, which is 2^10 = 1024 Bytes = 1kB. Expanding this, 1MByte = 1024kBytes = 1,048,576Bytes, and 1GB = 1024MB = 1,048,576kB = 1,073,741,824Bytes in binary units. However, in metric units, 1GB = 1,000,000,000Bytes. The difference is then 1,000,000,000/1,073,741,824 = 0.931, so metric measurements allow them to display sizes that are actually 7% smaller. If you do the math, 0.931*64GB = 59.6GB, so it's 64GB in metric (what they write), 59.6GB in binary (what the computer reads). This is a common business practice and is how literally every form of digital storage is marketted nowadays. 400 people found this helpful. 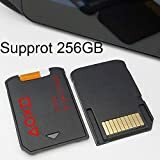 I purchased two of these ridiculously expensive PSV memory cards from seller APEX GAMES (USA) with FBA (fulfilled by Amazon). 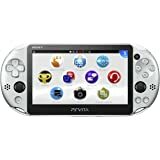 I originally only purchased one for my husband, but after browsing Amazon and getting great deals on PS Vita games it only made sense to just get one for myself. I do want to note beforehand that the cards I received from APEX GAMES (USA) are the Asia version (Taiwan/Korea - PCH-Z641G), NOT Japan version (PCH-Z641J) like stated in the description and title. Because of this I knocked off one star as I did not receive the actual version I paid for. 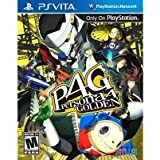 After reading up on differences and seeing that the G version cost more on the play-asia site (where PS Vita is commonly found), that site states the J version may experience issues with PSV 1000 devices (aka fat vitas). Now I don't own the PSV 1000, but the 2000 slim so I decided to keep the G and tested them out. So far no issues only time will tell when and if these cards deteriorate with excessive use. I was able to transfer a small saved file I had from my internal slim memory onto the card without any issues. I've read issues with both G and J versions so whatever card I got would of been a risk either way. Leave it to Sony to make a proprietary memory card that might and might not work overtime with such a high price tag. Both cards gave me 60gb of free storage. If you are wondering where the 4gb went, simple answer is system data after formatting. 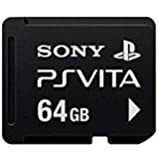 UPDATE: I ordered a third 64gb PSV memory card for another PS Vita, but this time from seller cus mart and got exactly as advertised! BRAND NEW SEALED PCH-Z641J and is in working order. So far both Japan (PCH-Z641J) and Asia (PCH-Z641G) versions of this 64gb memory card has been working perfectly since purchase. NEVER remove the memory card while your device is on/sleep mode, high chances of file corruption. 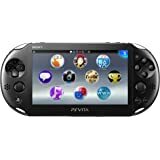 UPDATE #2: Ordered another memory card for my 4th new silver PS Vita from seller NuBlissful with FBA (Fulfilled by Amazon). Card came brand new in original packaging as advertised and is working great! I can share the same experience as many other reviewers have, be prepared to deal with currupted data, crashes, errors, and it’s inevitable death after 12 - 36 months of use depending on your gaming habits. I was having problems with it from the moment I received it, but after reformatting it a few times and rebuilding the database, the memory card finally became a bit stable. I still encountered issues with it throughout the life of it before it finally died, just after it’s 24 month window. Luckily, I have PS Plus so all my save data is safe, but regardless, having to pay close to $100 for a 64gb proprietary memory card that is bound to fail anyway is hard to swallow. I have another 32gb card that I have been using for a few years now and it is still going strong. So the widespread complaints about the 64gb card being more problematic than others may in fact be true true story after all... I experienced it myself. As others have mentioned, if you get it, be sure to either back up your saves often via content manager or get PS Plus. 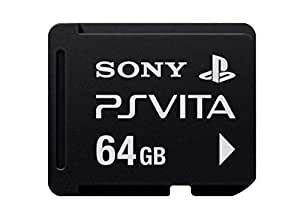 The memory card begins to exhibit problems without any warnings so one day you will pick up your Vita and find out that your memory card has called it quits on you. It happened to me. Stay informed and do your research before buying one, a quick search online will validate not only what I said, but what many others have said as well.